Chiropractic adjustments add motion to stuck joints, reducing nervous system disruption. Then, health has the best opportunity to return. For many people, as they approach their Golden Years they start falling apart; figuratively, of course. Advanced age is often associated with Alzheimer’s, arthritis, incontinence, and a list of other health problems that can range from merely annoying to extremely painful. Over time, the gradual, natural process of stiffening of the muscles and joints can cause pain and limited movement. Chiropractors use gentle joint and soft tissue manipulation as part of their treatment, and it can help provide long term pain relief, not just temporary pain suppression like the pain medications prescribed by the medical doctors provide. Certain medications may clash with each other, causing more damage than what they intend to fix, and sometimes causing a whole new problem altogether. Your cardiovascular system becomes less efficient over time. Your heart muscles become weaker, and your blood vessels become less flexible, in most people due to plaque build up. This can lead to high blood pressure, or hypertension, and other, more serious, heart conditions. Certain popular factors can help you reduce your chances of having heart problems, such as including physical exercise in your daily routine and eating more fruits, vegetables, and whole grains. If you smoke, ask your doctor for help quitting. Your risk of heart disease will fall almost immediately. And remember, just because you feel healthy, doesn’t exactly mean you are healthy: for people who have suffered a heart attack, 40% of them experience death as their first symptom. With age, bones start to shrink in density and size, weakening and becoming fractured more easily. You might even become shorter because of this. Muscles tend to lose strength and flexibility, causing you to become less coordinated and start to lose your balance. This will become very annoying and frustrating as it gets worse, but there is a way you can fight it. As far as bones and joints go, include plenty of Vitamin D and calcium in your diet. Bones absorb calcium and vitamin D helps with the immune system, so you can focus your energy on building bone and not having to keep your immune system healthy. Also, weight bearing activities, such as walking, help put stress on the bones and can cause you to increase your bone density. Also, try to weight train at least twice a week. This puts stress on the bones, as well as building muscle to help protect joints and increase balance and flexibility. As a result, constipation may be a problem in old age. To fight this annoying, and sometimes painful, problem, make sure to eat plenty of fiber (top fiber food is 100% bran cereal, but popcorn is a tasty alternative! ), not drinking enough fluids, and lack of exercise. These are three very simple things to incorporate into your daily routine, and if you’ve ever been constipated, you’ll know they are worth it. Also, some medications (usually pain medications) have side effects that contribute to constipation. Ask your medical doctor if they can switch you to another medication that doesn’t make you constipated until chiropractic can take care of your pain so you don’t need to use pain meds anymore. Whether you like it or not, they are bound to wear out, although in some people they may wear out faster than others. As you age, your eyes are less able to produce tears, your retinas get thinner, and your lenses become less clear. Focusing on objects that are near may become more difficult than it used to be, and you may become more sensitive to glare. Your hearing will become less efficient as well. You may not be able to hear certain frequencies, or may need people to talk louder around you. These are some of the more annoying problems that come with age, but you’re not helpless. Wear sunglasses whenever you are in any bright light, and wear earplugs when around loud noises. Get regular eye exams, as well as ear exams, and follow your doctor’s advice. Glasses and hearing aids may be prescribed, but it’s worth it to be able to hear your granddaughter’s piano recital, and see your grandson’s card he made for you for your birthday. Your teeth are also going to be used. The condition they will be in depends greatly on how you took care of them in the years before. Your mouth may also become drier and your gums may start to recede, leaving more teeth to look at. The lack of saliva causes your teeth and gums to become more vulnerable to infection and decay. Your teeth may also darken a little and become more brittle and easy to break. Make sure you brush your teeth at least twice a day, and use dental floss routinely. Also, make sure to go to all of your dental check ups and ask your dentist any questions you may have. Your skin will likely be one of the most noticeable changes that come with age. It’s more fragile, becoming thinner and less elastic. A decrease in production of natural oils causes your skin to become drier and more wrinkled. Age spots can occur as well as skin tags. To take care of your skin, bathe in warm – not hot – water, and use mild soaps along with moisturizers to keep the skin from getting dry. When outdoors, use sunscreen and cover up more. If you smoke, ask for help quitting. Smoking damages your skin and contributes to wrinkling. With age comes a decrease in muscle mass, which is replaced by fat. Fat burns fewer calories than muscle, so you may need to cut calories from your diet and step up physical activity just to maintain the weight you are at. To combat this problem, step up your physical activity. It can be as simple as walking an extra lap around the block, or whatever you do for physical activity. Also, you may be able to cut down some portion sizes in your meals, you may not need to eat as much as you used to. 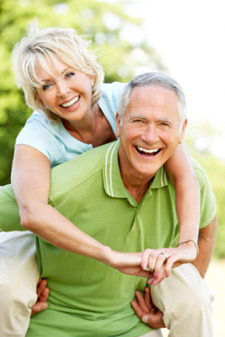 Let’s finish by reviewing a study on aging and chiropractic. In this study performed by the the Canadian Chiropractic College in Toronto, scientists compared people who used chiropractic as part of their health care to those who did not. Of those who did, only 5% had been put in a nursing home. Of those who did not, over 48% had been hospitalized!! This alone should convince anyone who is concerned about their aging health or the health of their parents to commit to regular chiropractic care. Receive free professional health tips on topics that interest you. Join our mailing list by entering your email address to the left!